Stop-motion film has come a long way since the 41-minute Russian featuree film, The Night Before Christmas made in 1913. In modern times, we’ve seen this technique of making a physically manipulated object appear to move on its own in such films as the famous Wallace and Gromit. 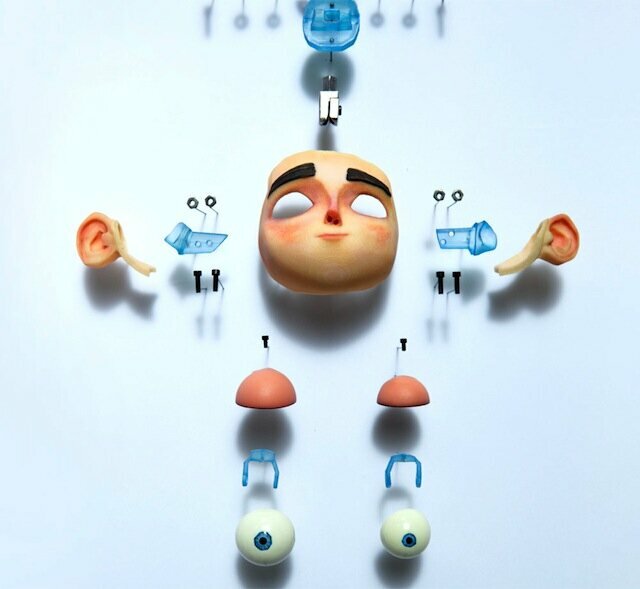 Generally, traditional stop-motion animation uses clay figures or other types of figurines as the “puppets,” which are photographed for one frame, then moved and manipulated a bit, and then photographed again for the next frame. The series of these frames, of course, becomes the movie. For a sophisticated film, it’s not just the moving of the figures, but the manipulation of their expressions, that is most time-consuming. With clay, it’s a bit easier, but think about hard surface figures, where you have to create hundreds of facial features for a human figurine’s head. That’s a lot of manual work. But as with so many other industries, everything has changed now that 3D printing is here. 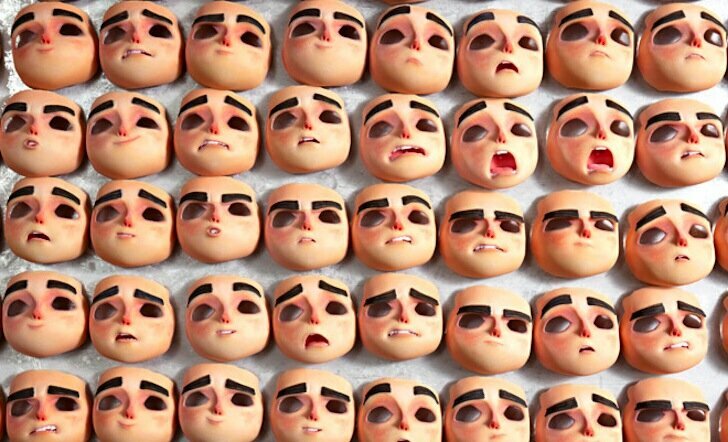 An upcoming stop-motion movie from Laika Entertainment, called ParaNorman, has the distinction of being the first stop-motion movie to use a 3D printer (a 3D Systems ZPrinter 650 color printer) to create its puppet’s faces. That’s tens of thousands of parts. Thanks to interchangeable 3-D-printed facial components, Norman is capable of 1.5 million expressions. For the 27 characters with 3-D-printed faces, the rapid-prototyping department output 31,000 parts, which they stored and cataloged in a face library. One 27-second shot required 250 different faces for a single character. Each face is marked by tiny fissures where the components fit together, so a “seam team” removes the fine lines in postproduction. Another industry disrupted by 3D printing. Now, sit back and enjoy the trailer for ParaNorman.